Flexsteel Clive recliner features power reclining, power headrest, and power lumbar. The Flexsteel Clive recliner features power reclining, power headrest, and a power lumbar. 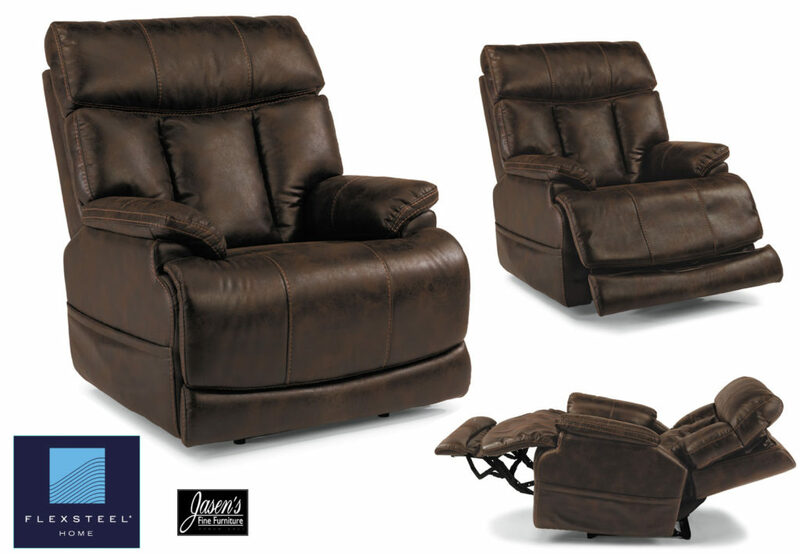 The recliner is the ultimate in adjustable comfort with it’s three different powered areas. The chaise on the recliner is unique, yet practical because it extends out as the chair reclines. The chair comes in your choice of suede like fabric (as shown on our floor) or leather. The remote for the chair can be stored in a pocket on the side of the chair and also features a USB port for charging!